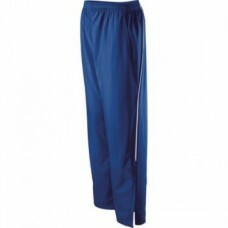 Shop4teams is the #1 online source for youth warmup pants, track suits, athletic clothing and apparel. We have been designing quality embroidered and screen printed clothing since 1985, providing customized team apparel for countless athletic organizations, schools, companies, clubs and non-profit organizations all over the world. Our customers have come to expect the highest quality from us, especially when it comes to custom warm-up pants. If your team needs a new set of team warm up pants for the upcoming season, then there’s no better place to look than right here. Shop4teams is dedicated to bringing you the best so you will find all your favorite team apparel brands here such as Holloway, Augusta and Badger. We can add your custom logos and designs to the warm-up pants to make your own, unique look just for your team. Shop4teams will be sure to make your team look intimidating to the competition. Contact us today and learn more about our custom team apparel from warm-ups to t-shirts and sweats. Size chart Heavyweight 100% polyester matte brushed tricot * Ladies fit * Heat sealed label * C.. Size chart Heavyweight 100% polyester matte brushed tricot * Heat sealed label * Covered elasti.. Size chart 100% Brushed Tricot Polyester .. Size chart . Swif-Tec double-weave technology features a lightweight, textured polyester surfac.. Size chart . Combined Flex-Sof and dry-Excel Perform create a smooth, lightweight, and sue.. Size chart . Constructed with our Flex-Sof fabric, this smooth, lightweight, polyester knit sur.. Size chart . Micro-Cord fabric is 100% polyester woven fabric with a unique raised, ribbed text.. Size chart . Micron polyester shell is lightweight, wind/water-resistant, and quiet for comfortbale .. Size chart Outer shell of 100% matte micro polyester. Lined with 100% taffeta and 100% polyeste.. Size chart Outer shell of 100% micro polyester * Upper leg lined with 100 % polyester mes.. Size chart Heavyweight 100% polyester matte brushed tricot. Covered elastic waistband with insi..
LIMITED QUANTITIES ! Please call for availability !Size chart Heavyweight 100% polyester brush..